Gibson London 'Towergate' men's 1960s mod pinstripe suit jacket in blue. 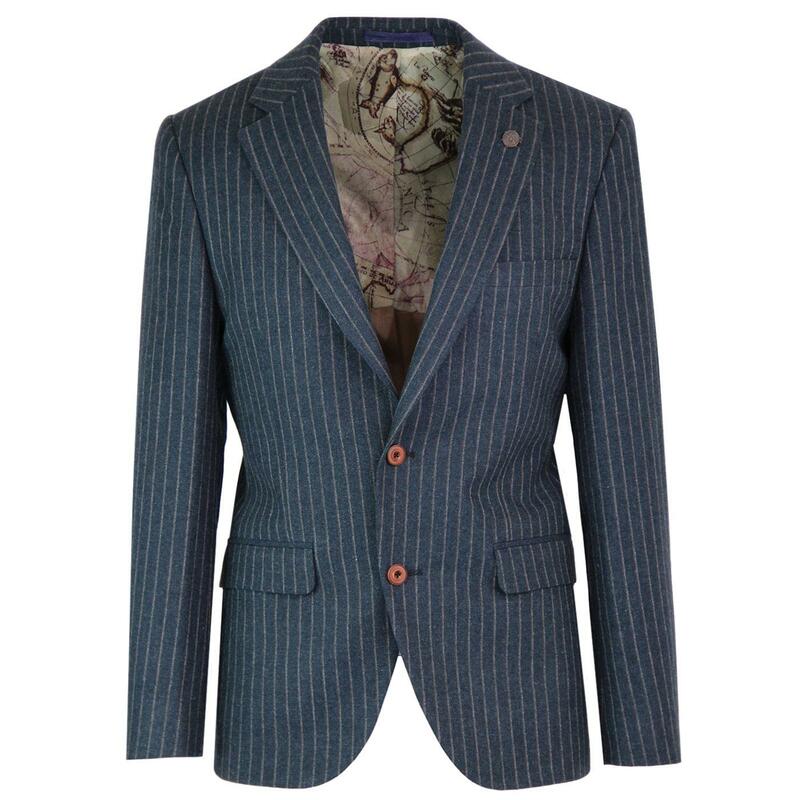 The textured wool blend fabric with fab retro pinstripe detailing is sure to catch the eye. With a hint of classic 1930s gangster styling to compliment the suave and slim mod cut. 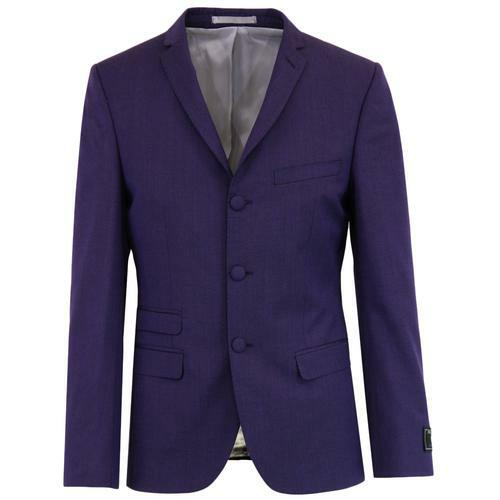 Take note of the classic retro notch lapel, two flap side pockets and the stylish button details. This single breasted 2 button pinstripe blazer is finished with Gibson London's seasonal vintage travel lining and detachable compass lapel pin. 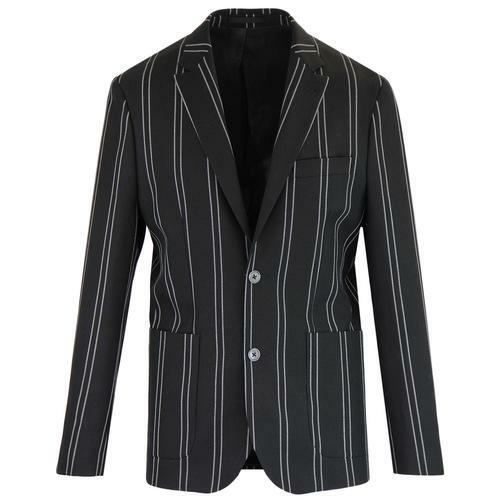 You can team this stylish Gibson London 'Towergate' men's retro pinstripe blazer with the matching mod high fasten lapel waistcoat and slim leg trousers. 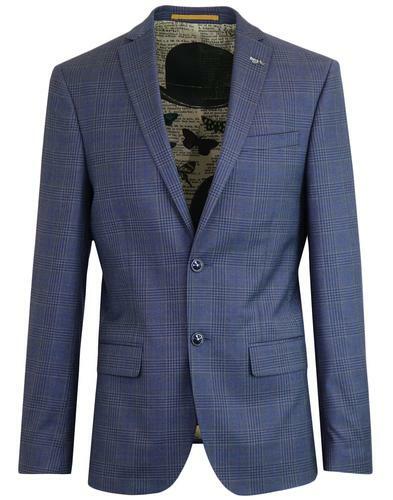 Gibson London men's 60s mod pinstripe suit jacket in blue. 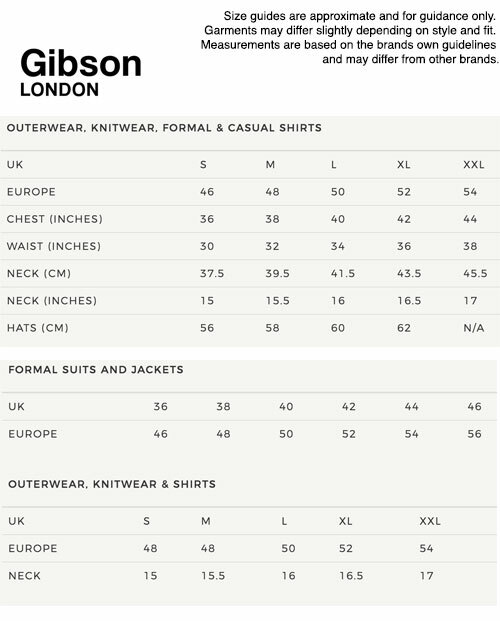 Gibson London vintage travel lining. 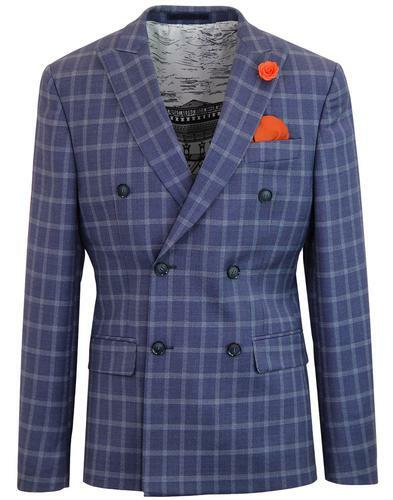 SKU: G18246TGJ Towergate Pinstripe Suit Jacket.